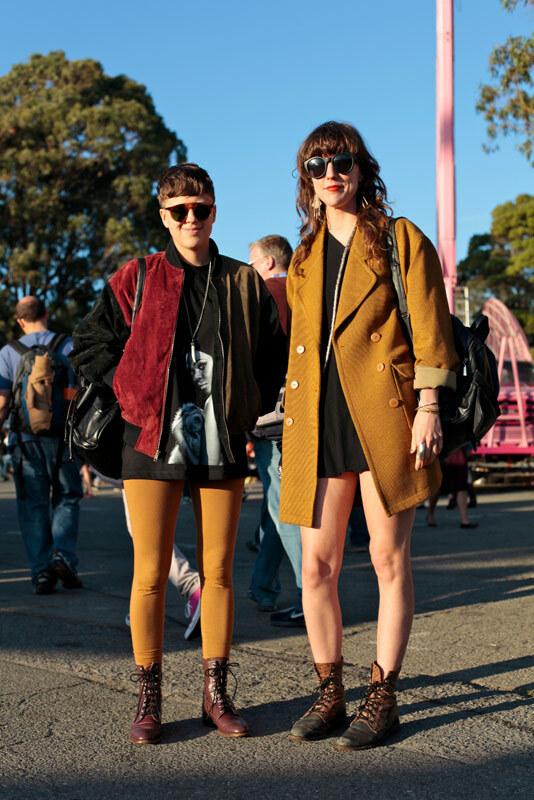 Kelly: "Right now, skinhead bomber jackets and boots and 90s hip-hop colors, earth tones, and stuff." 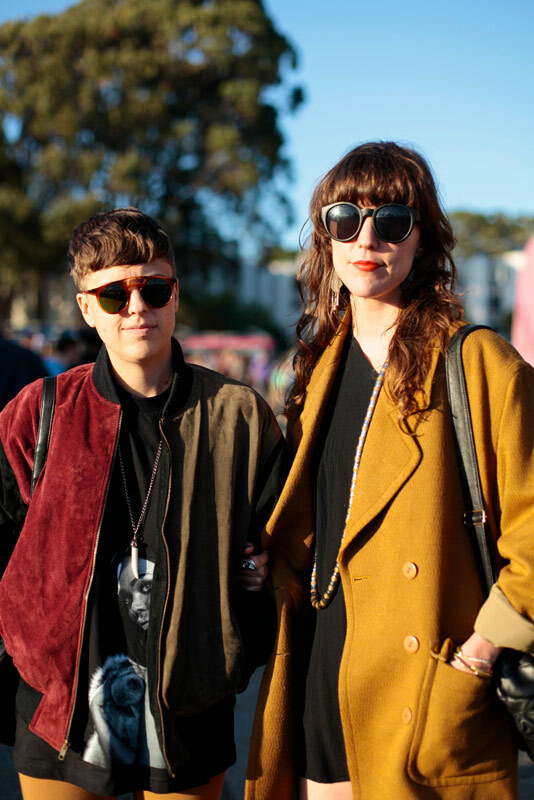 Andi: "I would definitely say 90s style, as well as comfort." It's a little of the yin-yang thing and a lot of really good layering. 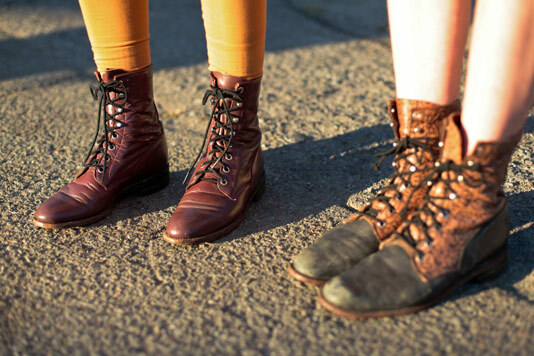 A look at their leather lace-up ankle boots.